BIND (Berkeley Internet Name Daemon) also known as NAMED is the most widely used linux dns server in the internet. 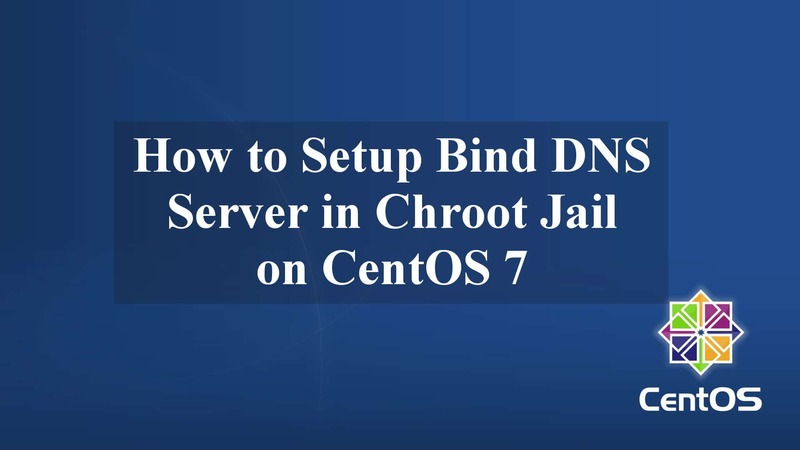 This tutorial will explain how we can setup BIND DNS in a chroot jail in CentOS 7, the process is simply unable to see any part of the filesystem outside the jail. For example, in this post, i will configure BIND dns to run chrooted to the directory /var/named/chroot/. Well, to BIND dns, the contents of this directory will appear to be /, the root directory. A “jail” is a software mechanism for limiting the ability of a process to access resources outside a very limited area, and it’s purposely to enhance the security. Unlike with earlier versions of BIND, you typically will not need to compile named statically nor install shared libraries under the new root. Chroot Environment initialization script will mount the above configuration files using the mount –bind command, so that you can manage the configuration outside this environment. There is no need to copy anything into the /var/named/chroot/ directory because it is mounted automatically. This simplifies maintenance since you do not need to take any special care of BIND configuration files if it is run in a chroot environment. You can organize everything as you would with BIND not running in a chroot environment. Chrooted Bind DNS server was by default configured to /var/named/chroot. 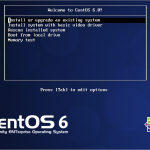 You may follow this complete steps to implement Bind Chroot DNS Server on CentOS 7 virtual private server (VPS). If it is running, it must be disabled. 8. Create Forward and Reverse zone files for domain example.local. Good instructions, but step number 2 (copy DNS files to the chroot environment) is incorrect for the current version of CentOS 7. In the current version (CentOS 3.10.0-514.2.2.el7.x86_64,, BIND 9.9.4-RedHat-9.9.4-38.el7_3) installing bind-chroot also installs the script /usr/libexec/setup-named-chroot.sh. This script is called by systemd when the service is started or stopped and dynamically mounts (umount) and unmounts the named.conf, pki files, and zone files into the chroot environment at run time. You can look at the top of the script to see which files are in scope. These files should be retained in their non-chroot locations. Realize that the documentation (https://www.isc.org/downloads/bind/doc/bind-9-9/, section 7.2.1) is not very clear, but that’s how the script actually works. There are several small problems with this article. 1. The example “full” named.conf file is not a secure configuration, particularly if the server is accessible to the outside world. It seems that the author didn’t intend to cover that scenario however, it isn’t touched upon or specifically mentioned either way. I always assume that people are going to take the instructions I write and apply them to scenarios that expose the configuration to the outside world in as insecure a fashion as possible. 2. Whenever you see “chmod 777″ that’s a giant red flag that something is not well understood. In the case of BIND, the particular files the author suggests we should apply mode 777 to are not likely to be accessible to anyone but root. Still, once again, it’s best to do this right. So, chmod g+sw /var/named/chroot/var/named/” before doing any other commands under that directory and the file and directory group ownerships will be the “named” group, automatically, when running those other commands. Then, do “chmod g+w” instead of “chmod 777” on those files. They definitely do NOT need execute bits and then certainly shouldn’t be readable or writable by everyone on the system. 3. One must also fix a few permission bits and SELinux context labels on some of the touched files and directories one creates. 4. In my case, the “/usr/libexec/setup-named-chroot.sh /var/named/chroot on” command appeared to run happily, but did nothing for me (I tried this on a few fresh, current, fully updated as of today CentOS 7 and RHEL 7 VMs). I ended up editing /etc/sysconfig/named file myself, creating all of the directories under /var/named/chroot/var/named/ manually (using ls -lZ on things under the /var/named/ directory to ensure I had all the permissions and labels matching), copying /var/named/named. * files into the /var/named/chroot/var/named/ directory and moving the /etc/named. * files into the /var/named/chroot/etc/ directory and creating symlinks to them in the /etc/ directory (a wise precaution against people editing the wrong files or thinking they’re missing). All important steps to get it working, almost none of which is covered. Even with these small problems, it only took me about 10 minutes to get BIND up and running (and securely so) on a CentOS 7 VM. I really appreciate this article. I’ve been running BIND servers on Linux system (SuSE, Red Hat, RHEL, CentOS, gentoo, etc.) since 1997, so I’m very familiar with it. 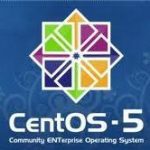 The CentOS 7 variations on how to get it running under chroot make sense, once I got through it all, but certainly wasn’t something I think most people would “figure out” on their own. So, I say this article was quite helpful to me. I hope my little suggestions are useful to you and help other readers (especially those less familiar with BIND and/or Linux than I) to figure these things out. P.S. Before anyone complains that SELinux should “always be disabled”, you are flat out wrong. It’s not hard at all to make things work with SELinux, it adds a gigantically helpful security element (which only protects the system once someone has already broken in) and I’ve seen hundreds of people learn enough about SELinux to keep it on for every server with only 30 to 60 minutes of learning time. I don’t want to hear anyone griping to me that SELinux is “just always in the way”. I have my opinion and I respect that you have yours, so turn it off if you want, but don’t come crying to me WHEN (not IF) your servers are compromised and it results in the “bad guys” getting your data or using the server to attack others. SELinux is easy, once you know the right little bit about it. If you don’t want to, that’s your choice and I won’t try to talk you into changing your mind, so please don’t try to tell me that SELinux is bad and that I should stop using it. Thank you.